Maryville, Illinois--The Anderson Hospital Foundation is pleased to announce the addition of Gary Niebur to the board of directors. The thirteen-member foundation board provides leadership and fundraising efforts for carrying out the Foundation’s mission: to support and promote Anderson Hospital as it provides exceptional healthcare services for the communities it serves. 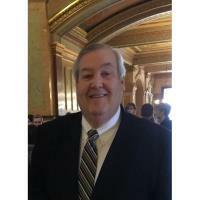 Gary served as a member of the city council for the City of Edwardsville from 1985 to 1993. He was elected mayor of Edwardsville in 1993 and served as mayor for twenty years. Gary also served as CEO/president of the Edwardsville YMCA from 1982 until his retirement in February 2018. During his tenure, the YMCA raised $10 million in private donations for capital improvements, facility expansions, and two new facilities. The second YMCA facility, the Meyer Center, opened in August of 2005 and is one of the largest in the Midwest. The third YMCA facility, the Allison Cassens Early Childhood Development Center, opened in 2014. Gary has been the recipient of numerous community service awards, including the Jaycees Ten Outstanding Young Persons in the State of Illinois; Rotary Club International Paul Harris Fellowship Award; the Boy Scouts of America Distinguished Citizen Award; SIUE Religious Center Interfaith Award, and the Edwardsville Glen Carbon Chamber of Commerce Lifetime Achievement Award. He served as a charter board member of the Greater Edwardsville Area Foundation, president of the Illinois Municipal League in 2002, vice-president of the Metro East Park and Recreation District since 2017, and has been a member of the Edwardsville Rotary Club since 1983. Gary and his wife Debby are lifelong residents of Edwardsville and have four children. For more information about the Anderson Hospital Foundation, please call 618-391-6427 or visit www.andersonhospital.org.